Dates are natural sweeteners which are high in fibre and antioxidants. It can be easily replaced for sugar and jaggery in some dishes. 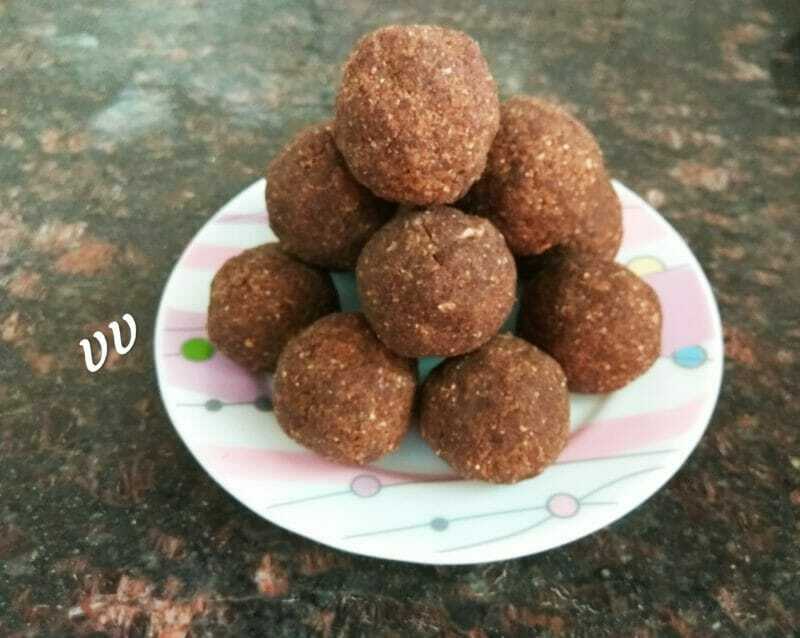 This laddu recipe is a perfect blend of millet, dates, nuts, seeds and ghee which can be an energy boosting evening snack! Dry roast ragi flour till nice aroma. Dry roast the seeds on low heat till they become crisp. Chop dates and almonds into small pieces. In a blender, first add roasted seeds and almonds and make a coarse powder. Add chopped dates and grind. Add roasted ragi flour, ghee, cardamom powder and grind so that everything is mixed evenly. Remove and make lemon size laddus. 1. Seeds like pumpkin seeds, sunflower seeds can also be used after roasting. Cashews and pistas can be used along with almonds. Total quantity of seeds and nuts should be 1/2 Cup after grinding.